A leaking 100-pound propane gas tank in a Longfellow Avenue yard triggered an emergency response Monday afternoon, but the potential threat was defused when firefighters burned off the leaking gas. The incident was reported to the Fire Department about 4:30 p.m. Monday by a worker for the Southern Connecticut Gas Co., who had detected gas leaking from the full tank -- deteriorating because of rust -- as far as 10 feet away. Three engines, one ladder company and the shift commander were dispatched to Longfellow Avenue, where firefighters checked the extent of the leak and whether combustible gas had accumulated in the basement. After determining the concentration of gas did not pose an immediate threat of explosion, fire crews planned to burn off the propane remaining in the tank. 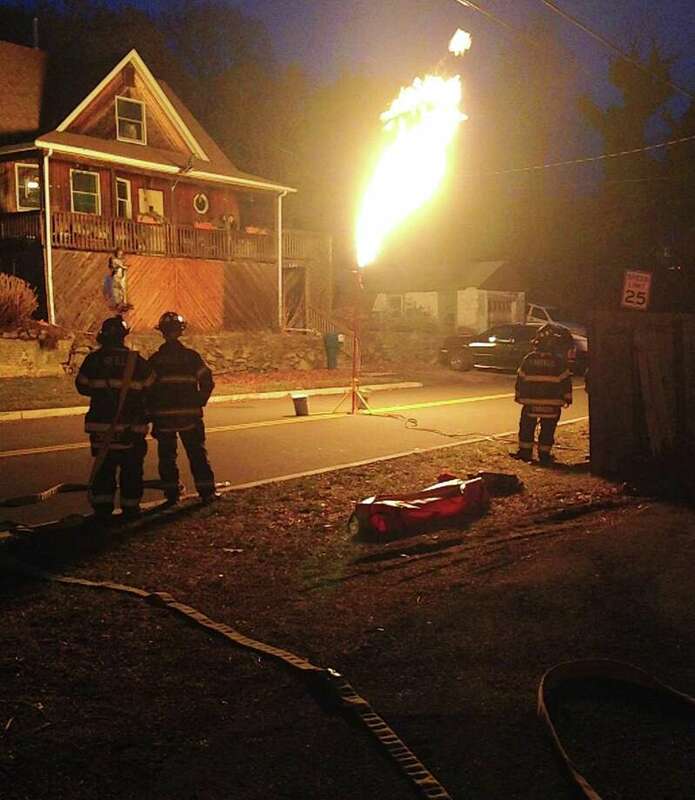 They staged a controlled burn, using a device called a flare tower, to neutralize the tank in the middle of Castle Avenue under direction of hazmat technicians, Lt. Philip Higgins and Firefighter Joseph Galla. "If property owners suspect that a propane tank may be in poor condition they should contact their propane supplier and have them perform an inspection of the tank," Assistant Fire Chief Erik Kalapir said in a statement issued after the incident. "Additionally, whenever a resident smells an odor of gas he or she should call 911."